In June of this year, Penn GSE’s Dan Wagner was appointed Special Advisor to Irina Bokova, Director-General of UNESCO. 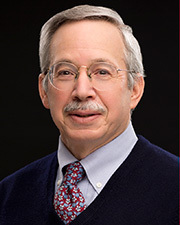 Throughout his career, Wagner has focused on problems of literacy in the developing world through applied research and advising international agencies, governments, and non-profits. 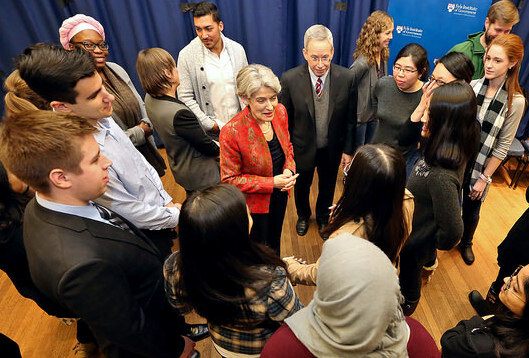 Wagner has a long relationship with UNESCO—serving as the UNESCO chair in learning and literacy at Penn, and as a member of the U. S. National Commission for UNESCO. As Special Advisor at UNESCO, he collaborates with member nations to provide policy recommendations for improving literacy worldwide. On September 7, Wagner will be a lead speaker at the International Literacy Day celebration at UNESCO in Paris. In his UNESCO advisory role, Wagner is working to advance the new Global Alliance for Literacy, which aims to support the United Nations Sustainable Development Goals. “Many international development initiatives have a significant literacy component, but we now need to connect literacy work with many other sectors, such as health, employment and agriculture,” Wagner said. The Alliance gives specific attention to the role of technology in promoting literacy. “Many more people in the developing world have access to mobile devices and the Internet, but knowing how to effectively utilize this technology requires a greater awareness of cultural and linguistic contexts” Wagner stated. In 1994, under Wagner’s leadership, UNESCO and Penn partnered to launch the University’s International Literacy Institute (ILI) to provide leadership in research, development, and training in the broad field of international literacy and educational development, with an emphasis on developing countries. Participants from more than 50 countries participated in ILI’s program. In 2014, the ILI and the Molteno Institute for Language and Literacy were co-recipients of UNESCO’s Confucius Prize for their technology-based program supporting literacy efforts in South Africa’s Limpopo Province. In addition to his work with UNESCO, Wagner directs Penn GSE’s International Educational Development Program (IEDP) that prepares students with the skills required for working in the field of education and development. Over the last 7 years, more than 70 IEDP students have interned with UNESCO in offices ranging from Paris to Dakar and from Santiago to Delhi, as well as more than a dozen other international agencies and non-profits.